Integration of the Glympse location sharing service to allow ground crew, family, or others to track your flight in real-time. They can track you using almost any device with a data connection. Flight Log- the log makes it easy to track information common to all pilots such as crew members, passengers, maximum envelope temperature, and propane used. 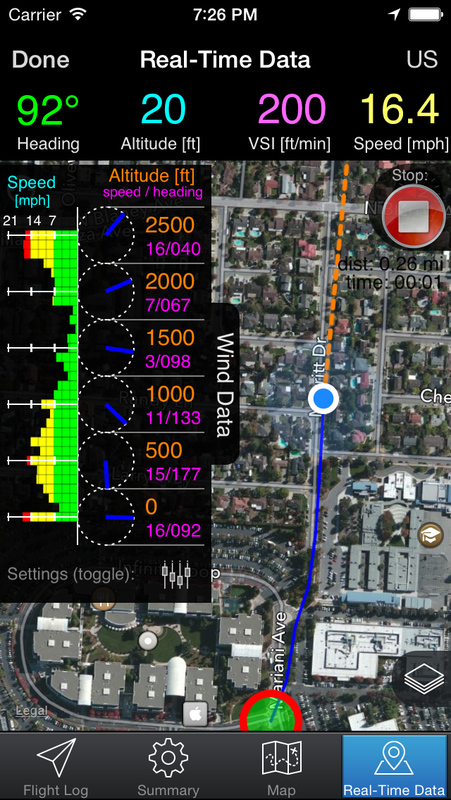 The log also makes saving takeoff and landing locations convenient, thanks to the iPhone’s GPS or triangulation capabilities; plus, it has a "favorites" list for takeoff locations. The log can also aid in flight planning and separates future flights from past flights using a simple color-coding scheme. 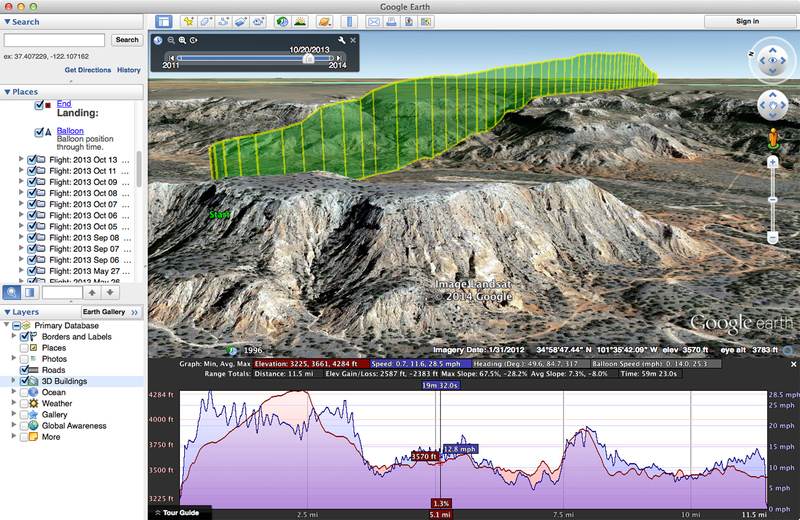 Flight Data Summary: this tab quickly tallies flights and hours flown. The summary includes a total of all flights or just the ones made within the past 90 days. Data backup and restore - to be certain your data is safe! Universal app - works on iPad (landscape and portrait) as well as the iPhone and iPod touch! Facebook integration - it is easy to post a quick summary of your latest flight to Facebook and even includes a link to a map! Documentation: Jeff Thompson from hotairballoonist.com put together a great tutorial on how to use most of the features of the app; it has many screenshots and step by step instructions. 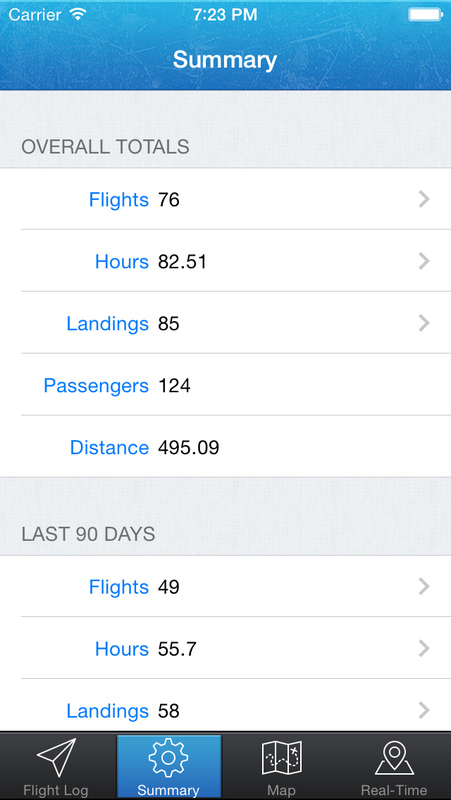 The flight log is the core of the app. The log makes it easy to track information common to all pilots such as crew members, passengers, maximum envelope temperature, and propane used. The log also makes saving takeoff and landing locations convenient, thanks to the iPhone's GPS or triangulation capabilities; plus, it has a "favorites" list for takeoff locations. The log can also aid in flight planning and separates future flights from past flights using a simple color-coding scheme. 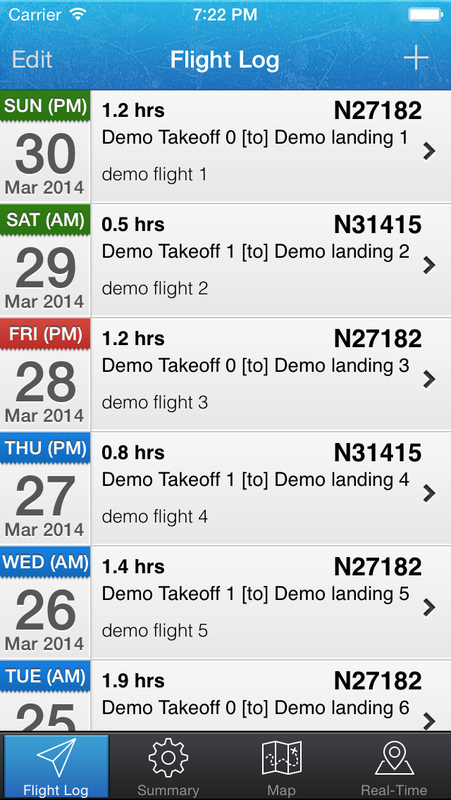 The summary tab quickly tallies flights and hours flown. The summary includes a total of all flights or just the ones made within the past 90 days. On the map tab, the logged flights that have a saved takeoff and landing location can be plotted and compared on an interactive map that you can see immediately after you set your landing point. 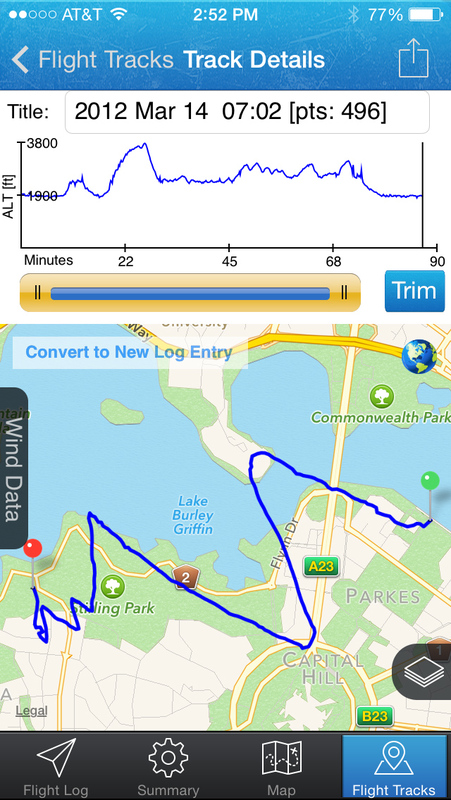 The export tab allows you to quickly send all of the data sorted in the Hot Air app to an e-mail address. 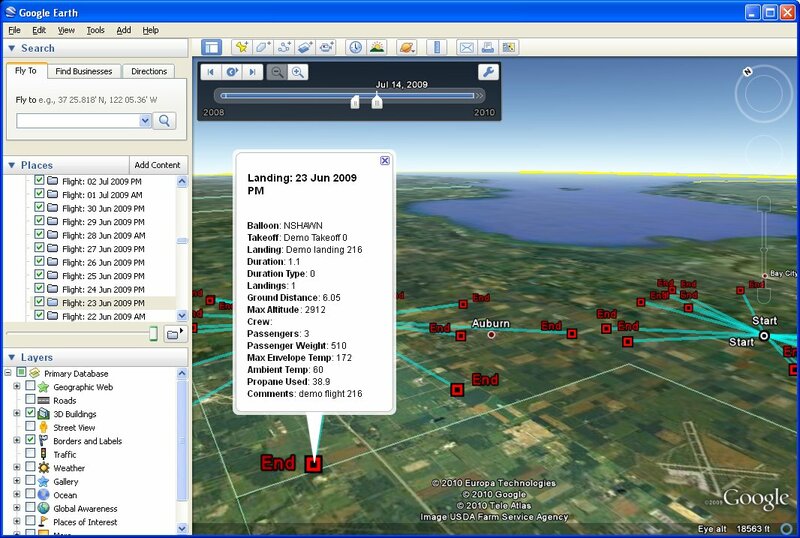 The export includes two files: an HTML file with a table of all the flight data and a Google Earth KML file. 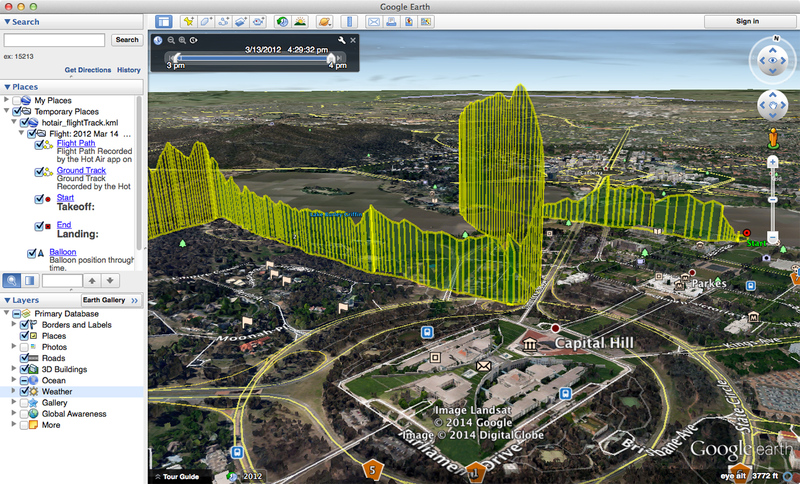 The KML file is a great way to visualize your flights! Click on the images above to see screenshots.